BATISTE: The Tricentennial Isn’t Over, It Just Began! New Orleans very fittingly doesn’t know its exact birthday. The Big Easy just made 300, but the former mayor’s personal vanity shows he attempted to squeeze in the celebration prematurely to bask in the glory and center the celebration around himself. Like Mitch’s book, that date has no historical data supporting it. No single historical document designates May 7, 1718, as the city’s founding date. Campanella placed the city’s founding in the spring due to Bienville getting the OK to sail from Biloxi to today’s New Orleans in September 1717. Mitch likely learned this as he didn’t tweet it in 2017 or 2018. The May 7th date has been accepted nonetheless. Based on the official Tricentennial events, the celebration appears to take place from October 2017 to November 2018. Since March, the City has been hosting Tricentennial events leading up to the birthday fireworks show on Mitch’s last day in office, May 6th. 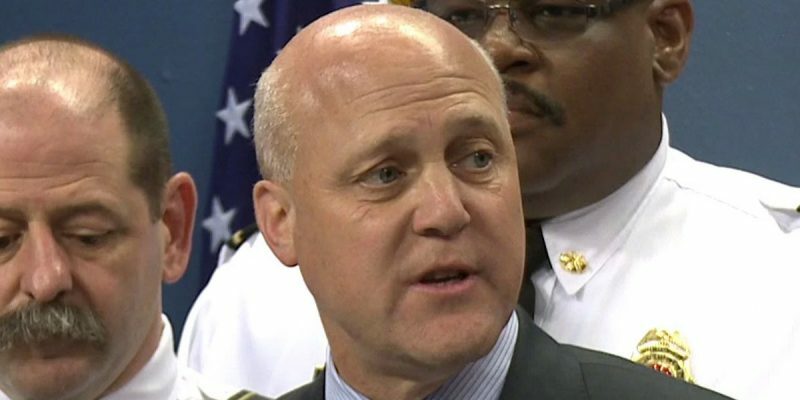 Conferences, lectures, the Tall Ships, and much more were squished into two months, the final two months of the Mitch Landrieu era. He must have felt if he got close enough to “the date” it would be accepted. Mayor Cantrell should remake all the flags and, if a politician’s name must be on it, hers would be better than Mitch’s. Perhaps the most fitting name would be Jean-Baptiste Le Moyne de Bienville. But recognizing the city’s legendary founder Bienville might complicate things as even recognizing the past now apparently causes controversy. According to the Theater-Major-Turned-Self-Appointed-Historian Mitch, only good history should be celebrated, not the ways of old. Determining what Mitch believes should be revered is quite difficult. Segregation, while a part of New Orleans history, is viewed as negative. The city integrated in 1960, shall New Orleans only accept events after that date? The few things Mitch selected for preservation and enhancements have direct ties to slave owners and slave traders. Mitch spent $15 million to refurbish Gallier Hall, named for a slave owner who used slave labor and designed the Merchants Exchange building that held slave auctions as late as 1862. Mitch dumped $9 million into the Lafitte Greenway, the bike path for millennial transplants that honors one of the biggest traders of slaves in American history. Mitch advanced the timing of the city’s Tricentennial to put his name on a flag and preside over it with his Commission and subcommittees. These were political power moves that allowed him to appoint and exercise power and influence. His last date in office finally appeared after Cantrell won the mayoral election in November. It was still not well known until January 2018. And Mitch attempted, unsuccessfully, to have the Louisiana Legislature extend his term. When the mayoral election was moved up four months from February to October, he did negotiate and fend off a change in that would have pushed him out earlier in 2018. Everyone talked about this, everyone knew this, everyone witnessed it, and everyone rolled their eyes and accepted it—but that should not have been the case. It’s wrong. The Tricentennial is a perfect example to show how Mitch is a complete narcissist. The 300th year is here. Celebrate the great city of New Orleans, its flaws, its quirks, its infectious culture. Take a tour, walk a cemetery (do both through Civil War Tours of New Orleans), visit the Cathedral, stop and read the next historical plaque you see, and remember, the wicked Mitch is gone. The Tricentennial of New Orleans has begun.